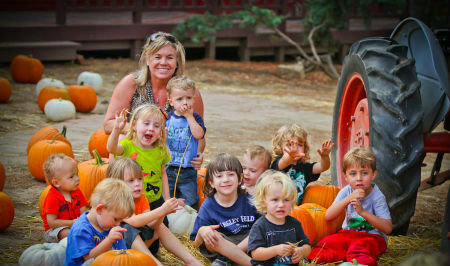 Kathy's Country Daycare has been nurturing Fallbrook families since 1992 and continues to offer the most caring and loving environment to children that not only gives a feeling of security and acceptance to each child but also encouragement and growth through learning and understanding. Hi, I'm Kathy Newman of Kathy's Country Daycare. I have been in the childcare business for 20 years and have enjoyed caring for the hundreds of children that I have had the honor of nurturing over the years. Here at Kathy's Country Daycare we make it a fun and exciting environment while stressing good manners and learning at each child's own pace.